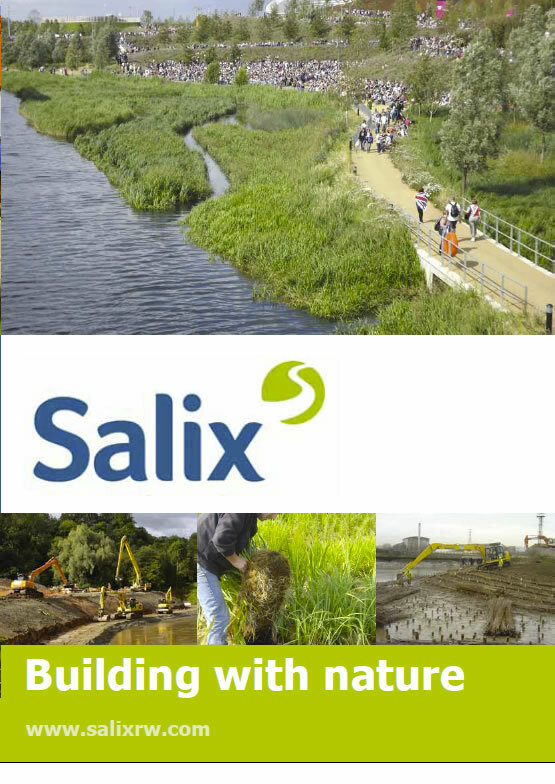 Salix provide sustainable solutions to the challenges found in soil erosion control and river restoration projects. We also specialise in spillway and shoreline protection, inland dredging and wetland habitat creation schemes. Utilising innovative bioengineering solutions, often replacing hard engineering, allied with our capabilities in more traditional civil engineering techniques, we build with nature to deliver cost effective, environmentally sensitive solutions. Salix are a designer, constructor, manufacturer, distributor and grower rolled in to one single company – unique within the UK construction industry. Therefore our clients can get a holistic, cost-effective service from one main source. Our approach complements the natural environment, adds to biodiversity and improves water quality. We manufacture and supply a broad range of soil erosion control and bioengineering products with performance led specifications that allow engineers to specify with confidence. Salix are the only UK manufacturer and Europe’s largest producer of coir fibre rolls and are the UK’s largest grower of “pre-established” rolls for erosion control and wetland habitat creation. Our in-house native wetland plant nurseries produce high quality pre-established coir products for small specialist schemes to landmark projects such as the 2012 London Olympic Wetland Park. Working in partnership with Tensar, Salix offer the world’s highest performing range of Composite Turf Reinforcement Mats – VMax C350 and P550. Salix are founding members of the “European Soil & Water Engineering Group” (ESWEG) a Europe- wide network of erosion control and bioengineering experts. Working closely with companies from France, Germany, Holland, Spain and Scandinavia allows us to expand our knowledge base and expertise. Collectively the members of ESWEG have completed over 1000 bioengineering projects. ESWEG are responsible for new, innovative products within the industry and carry out extensive research and independent testing. Further afield, Salix also have a close relationship with bioengineering companies in the USA and enjoy exclusive UK rights to the North American Green erosion control product range, now also manufactured in Europe.